Over the past few years, advances in machine learning, especially natural language processing (NLP), have made it easy for computers to analyse and derive meaning from human language in a smart way. With this, developers can now create smaller, simpler and more intuitive natural language processing software. 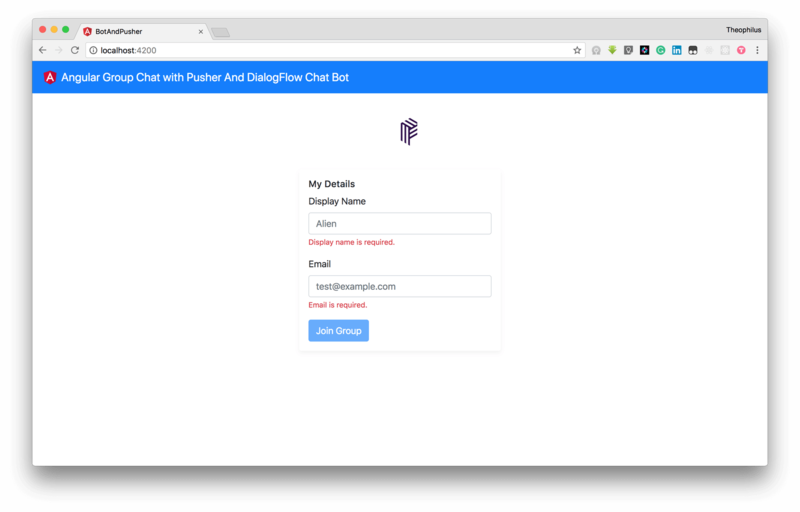 In this tutorial, we’ll demonstrate how to build a group chat using Pusher with an Angular application. 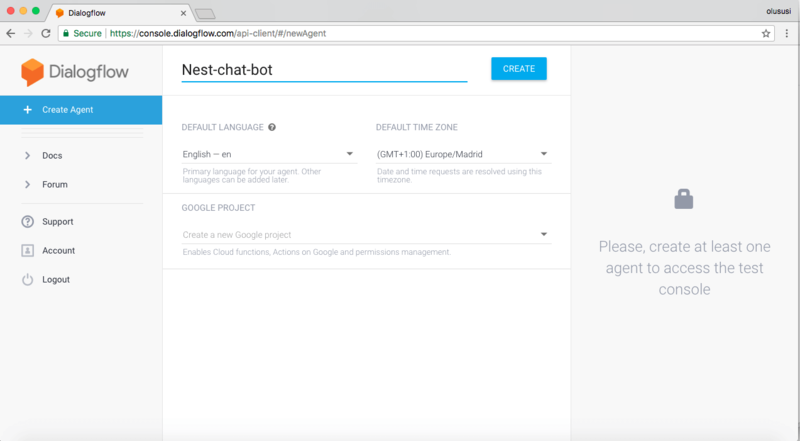 We will also build a basic chatbot using the Dialogflow conversation platform formerly know as api.ai by Google. This bot will engage in a simple conversation with any user within the group chat. 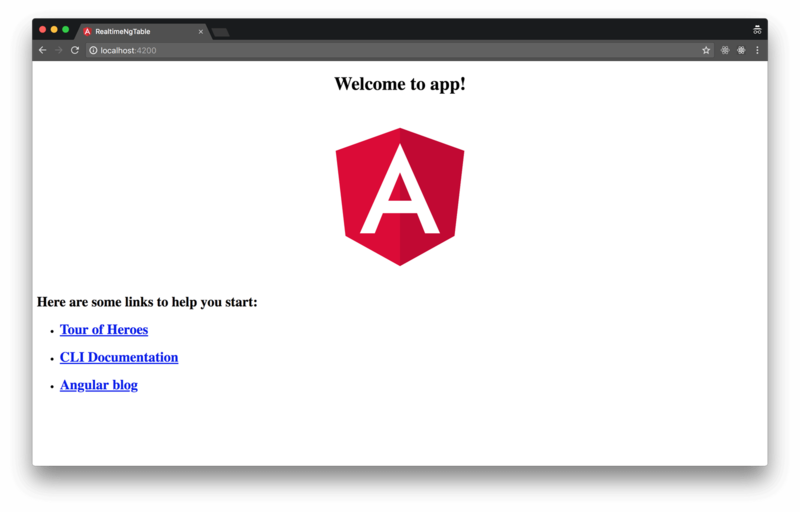 Angular 6+: a platform that makes it easy to build applications with the web. Angular combines declarative templates, dependency injection, end to end tooling, and integrated best practices to solve development challenges. Pusher: a hosted service that makes it super-easy to add realtime data and functionality to web and mobile applications. It has different products based on the need of your application. 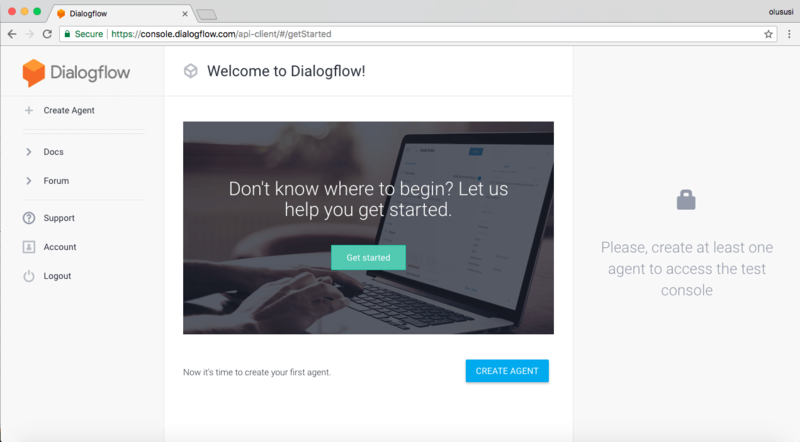 Dialogflow: an engine for building conversational experiences. 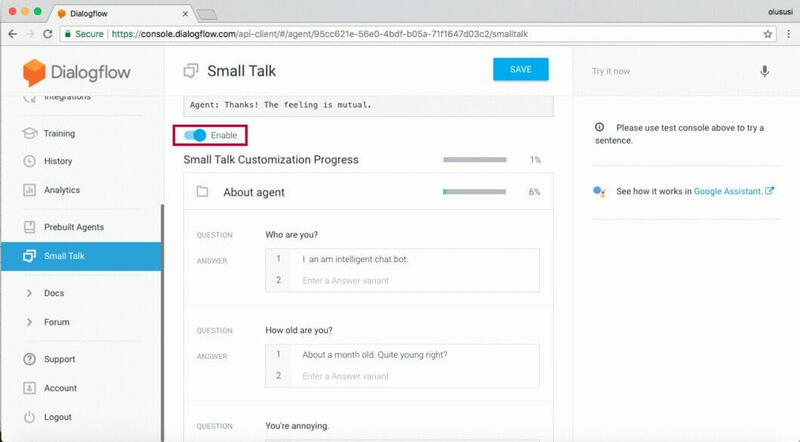 It leverages Google’s machine learning and natural language processing technology, thereby giving developers the ability to utilize a user-friendly interface to build chatbots and deploy them to any platform. We installed a command line interface to scaffold and build Angular apps globally. It exposes ng in our terminal for us to make use of the commands available. To confirm everything went well, run the below command on your terminal within the newly created app folder /botAndPusher. We added a utility style for adding shadows to our div. We used another command of Angular CLI, which in full is ng generate service path/name. This creates a folder if it doesn’t already exist called services/ and place our service files there. We also used --spec false to let the Angular CLI know we don’t need to generate a test file for the service file. The last comand generates an employee interface to help give an idea of what an employee object should have. We insert the free API_KEY and CLUSTER we get after signing up and creating a channel app with Pusher. To ensure that connection traffic is encrypted, we set encrypted to the Boolean true in our app. Read more about client configuration here. From the above interface, every chat message must contain an ID, display name (used to display who sent the message), and a type (whether not the speaker is human). Let’s create our chat service to help send messages to others, connect to Pusher’s channel and to join the group. We’ve created three different methods to help us interact with others within our service file. join: this is like registration of new users to get their display name and email address which we are going to be using to send messages to others within the group. If you observe, anytime we join, we automatically use RxJs tap (formerly called do) to pipe the response and do something with the response before sending it to the caller (save our user information for later usage). sendMessage: this attaches the user object we saved after joining to the message before sending it to our server. Using the Angular CLI, we generated a component with no test attached as explained earlier. It will create a folder for each containing a .ts and a .html. The -is command means don’t create a .css file. We will use inline styling within our .ts. We have created our template using Bootrap’s forms with Angular’s reactive form directives such as formControlName and [formGroup] which allows us to easily validate the form. We used the _createForm method to instantiate our reactive form and set the validations needed. On submit of our form we call the onSubmit method, which was used ((ngSubmit)="onSubmit()" ) within our my-details.component.html. Let’s make use of our just created component within our app.component.html . You can join the group, but we need a screen to see who joined and also to chat with others within the group. Joined: once you join a chat from my details component, we receive a chat message of type joined. Doing this gives us the privilege to style it or handle how to display who just joined the chat to others. From me: if the chat message is from me which means my email address from my details matches with the email address within the chat message. Here, you observe we didn’t show the name of the person sending the message since it’s me, and the styling we used message sent class. Not me: if the chat message is not from me and it’s not joined, which means another user from the group sent a message. Here, we added the user display name, so we can easily identify who sent the message. Before we try out our chat component, let’s incorporate Pusher and connect to our server to send messages to others. From the above code, we subscribed to our Pusher channel for chat-group when the component is being called by Angular (ngOnInit). We also check if the message that is coming from Pusher contains the same email as the one we used in joining the chat group. If so we add an extra key called isMe:boolean, which is going to be true when it matches. We used sendMessage method to send messages to our server and toggling a variable called sending to notify our template to show what is going on to the users. Then we reset the message to undefined to clear the message input field on our chat.component.html. We need to toggle the chat component only when the user joined our group. So, initially, any new user sees my details component, which is going to get the display name and email address before entering the chat component to chat with others. What we simply did above, is just to make use of our chat service, which contains the user object. This user object is gotten anytime a user joins our chat group. If it is undefined it means the current user trying to use our group chat is not registered or hasn’t joined. Let’s make use of it to toggle which view/component a user is going to see. Observe our above result, we were unable to join our chat group because the server specified in our chatService._endPoint does not exist. Let’s go over to setting up our server. POST /messsage: send a message to others in the group by triggering an event with Pusher so our chat component (which subscribed to it earlier on) can receive the message. POST /join: anytime a new user wants to join our chat we send a trigger to the others that a user just joined the chat with a type:'joined``' and the req.body which contains email and displayName. Our application is working as it should 😊, but we are not done yet. The next section is going to show how to add a chatbot user to our group. For example: /bot who are you ? Click on the icon within the red circle to view our agent settings where we can locate our API keys. Open our .env and add our client access token not the developer token, as our use case we are going to be doing more of querying of our chatbot via APIs. Read more. What we have done is to update the POST /message endpoint to handle any message sent from our angular application. The goal is to check where /bot is used to begin a message, then intercept those type of messages after sending a Pusher event to others that a user just called a bot. The code within our POST /message checks if the message starts with /bot. If so we take the second part of the message as what the user is trying to ask the bot to do. After getting the main message we send it to Dialogflow through our utility function. Dialogflow returns a response containing what our bot processed from the message. 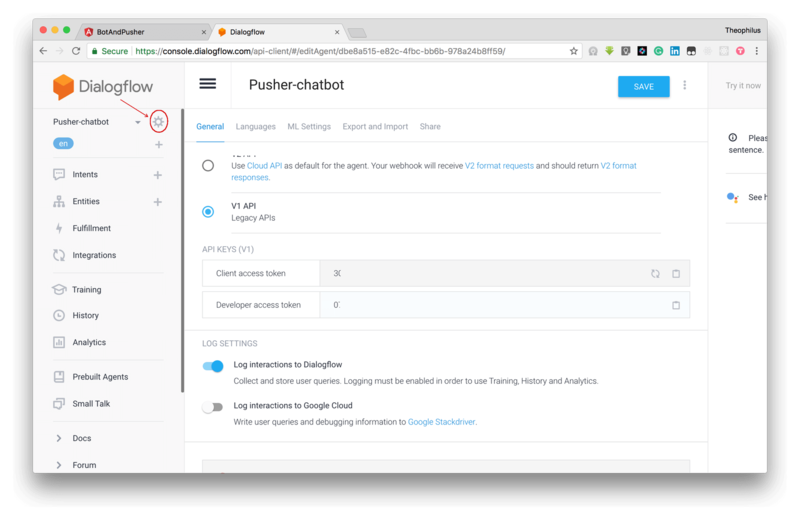 Then we triggered Pusher’s event to send a message to our group as a bot user using the response from Dialogflow. Here, we have been able to build a group chat with a chatbot user. The intention was to give you a general building block that can be built on, explored, and improved to build an amazing chatbot that can do much more with group chats. The source code for this tutorial can be found on GitHub and we have also made the demo available. Feel free to explore and add more features.